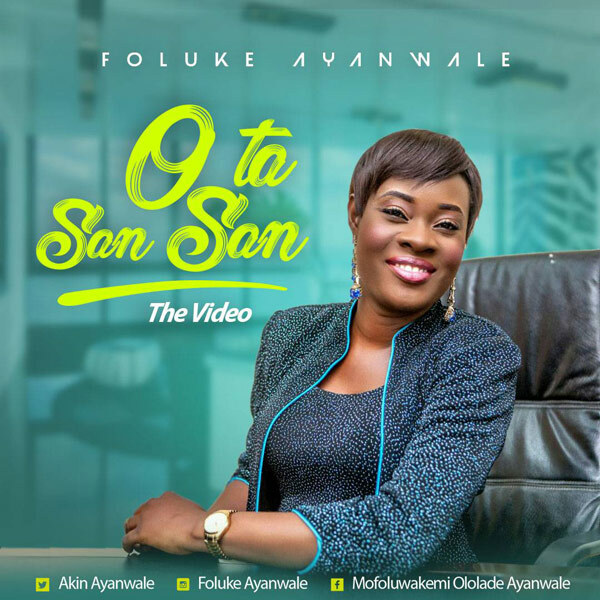 Foluke Ayanwale – O Ta San San. Foluke Ayanwale drops the visual of ‘O Ta San’ off the new collection titled ‘Continental Praise’. A situation where Jephthah and Jabez were written off, Joseph was relegated to the bush, but God singled them out and dazzled them to the world and the rejected became a force to be reckoned with. See what God has done in my life: few weeks back I had 3 different projects to execute that ran into millions, so pressing that I knew that I needed God alone to help me, as I speak God has miraculously solved each of them for me, this music video is one of it; now it’s on several T.V stations making waves by God’s grace, “O Tan San San” everywhere, I give God alone all the glory. Therefore I prophecy to you that is watching or listening to this song, this year you will have a miracle that will bring tears of joy to your eyes! Suddenly your enemies will hear a noise! Suddenly you will be pregnant! Suddenly my God will show up for you in Jesus mighty name Amen! (Acts 28:6).